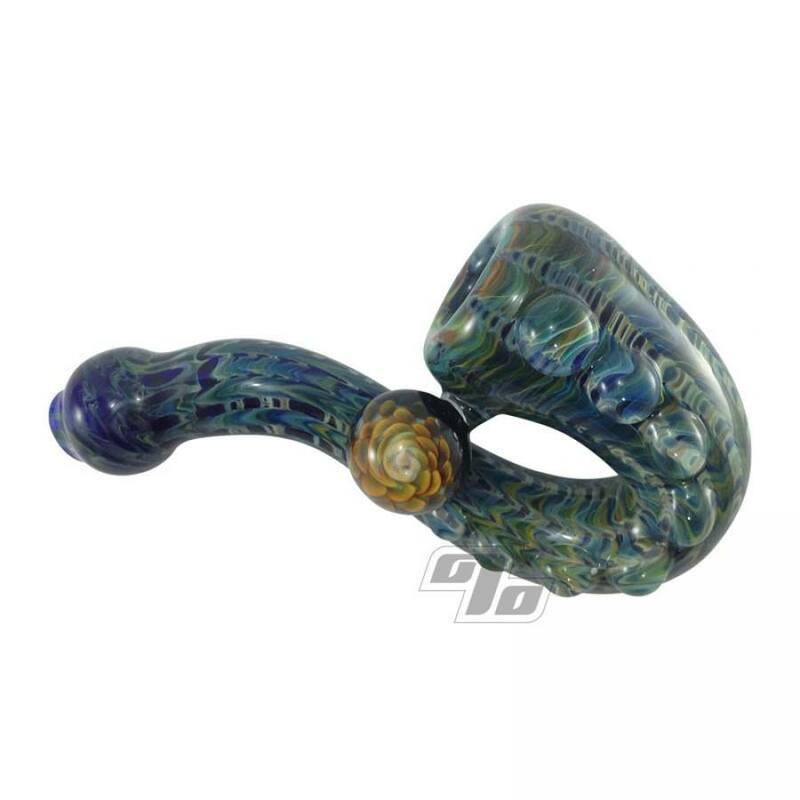 The Implosion Sherlock from Chaka is a special glass piece. Color wrapped hole, raked color, clear magnifiers and unique marble elevates the smoking experience. Comfortable in the hand and lays flat when not in use. Measures in at 5" x 3" x 2" wide. 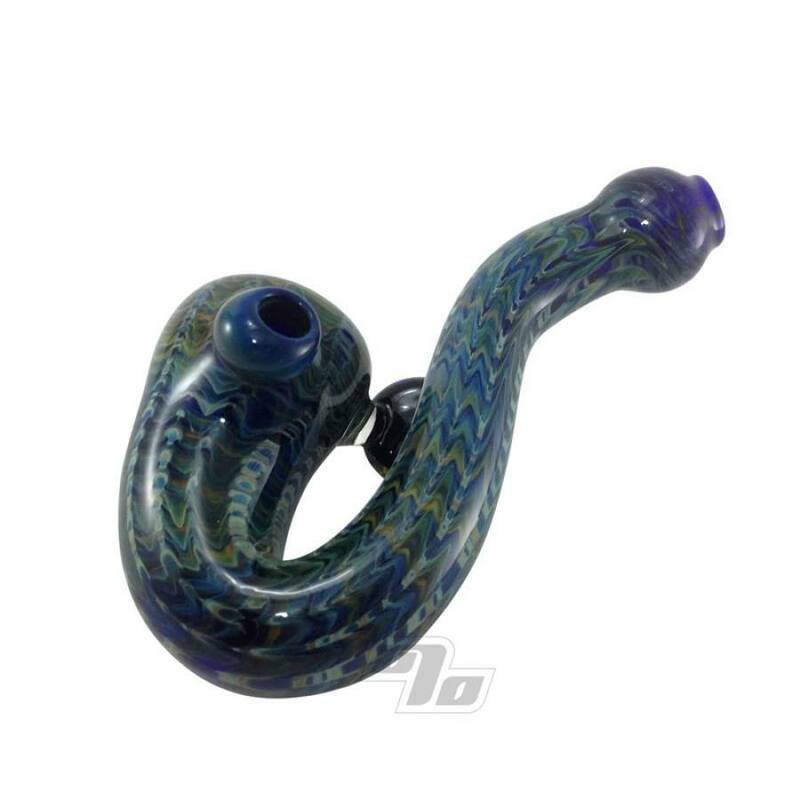 Always loved sherlocks but so far this one has a special place in my heart.